Just over a week to go before the UK holds its referendum on the EU, both the In and the Out campaigns have been fighting their corners, with soundbites, statistics and as some feel scare stories as well as plenty of mudslinging. However according to research, 48% of university students feel neither campaign has given a clear answer as to how a Brexit vote will affect daily life. Furthermore, 64% of those students have concerns about travel and opportunities around Europe if we left the EU. Unfortunately for many of these concerned students, neither campaign has given a clear answer as to what would happen if the UK left the EU. Neither the leave nor the stay campaigns have really answered any concerns people may have and the research suggests that 20% feel like their generation is being overlooked by this process. This is shocking really when you consider those currently studying at university are the UK’s future. Although for some traveling around Europe may seem trivial, however it’s not for students who tend to want to be more mobile than older generations. Nevertheless gaining work in Europe is also high on their list, we have heard scare stories that travel could be restricted even bringing in visas (although these were not necessary before we joined the EU) working could be trickier, as the UK looks to tighten its borders for workers in the EU coming to work in the UK, the EU could do the same to those from the UK looking to work in the EU. Morocco is a land of remarkable contrasts with miles upon miles of sandy beaches, lush oases, extensive golden deserts, dramatic mountains, intriguing old and new towns and charming mountainside villages. Morocco leaves a remarkable lasting impression to anyone who dares to visit. Staying in a riad in Morocco exposes you to the rich cultural heritage of the Berbers. A riad is not your every day hotel, it is a traditional palace or house whose main buildings face a central garden. The garden consists mainly of citrus fruits and fountains, these elements and the unique Berber architecture gives the riad a relaxed homely atmosphere. Riads are exceptional and staying in one is necessary for an authentic experience of the intriguing Berber culture. Italy is famous for its mouth-watering cuisine, fine wines and renaissance art; however, few have experienced the luxury of Italian villas. Italian villas offer fantastic accommodation in some of the most scenic places in Italy. The Tuscan countryside is famous for its rustic converted farmhouses and castles turned into fabulous villas. The luxurious villas offer privacy, pools, tennis courts and fantastic scenery, all these and more coupled with Italian hospitality and wines, Italian luxury villas are ideal for the perfect holiday experience. One of the most distinctive features of Amsterdam is its labyrinthine canals, and what a better way to remember your visit than staying in a floating houseboat? The houseboats come in all shapes and sizes, some converted cargo ships, some of historical significance and some new and modern to satisfy the ever rising demands for this unique form of accommodation. The houseboats are conveniently located in some of the city’s most stunning locations, and staying in one is a wholesome treat. Cornwall combines everything rural with fantastic strands of gorgeous beaches facing the Atlantic Ocean and extensive granite moorlands. While most people would rush to stay in the fabulous cottages and hotels, sometimes it is best to try a different kind of accommodation such as a tree house. With all the charms of Cornwall and a retreat above the ground in a tree house, you create the unique holiday experience ever! It takes you back into your childhood days in a most remarkable way. Right in the heart of UK is the amazing region of the Cotswolds, famous for its picturesque honey-colored villages, rolling hills, wool churches and spectacular parks. It is the ideal destination to escape the hustle and bustle of the city for a midweek break and unwind in a lakeside cabin in style. The Lakeside Park in the Cotswolds has been a well-kept secret for ages, but now the secret is out. It consists of 150 dazzling lakes, a series of stunning villages and of course, charming log cabins. The cabins come in different sizes and all manner of designs that cater for different tastes. You can retreat to a lakeside cabin with family, friends or spouse for a unique type of holiday. Staying in a lakeside cabin in the Cotswolds, gives you an opportunity to enjoy activities such as bird watching, fishing, biking, walking and experiencing the incredible natural beauty that well describes this part of UK. Going back to the basics has never been this fashionable! Are you too stressed from working all day? You want to go on vacation, right? Travelling is, for sure, one great and soothing way of spending your vacation. So, book a ticket now, pack your things up, and take your well-deserved vacation to these 4 amazing destinations…. Cyprus is now becoming one of the favourite island getaways, thanks to its amazingly gorgeous landscapes and breathtaking pristine beaches. If you love arts and fashion, then this place can be a great boon to you as well. Cyprus has three lovely cities, namely Lefkosia, Limassol, and Paphos. The well-known Medieval walls in Lefkosia remain to be one of the city’s most captivating historic landmarks. Limassol, on the other hand, houses the most famous museums in the city. Do not miss your chance to visit the Kolossi castle. For beach lovers, this city is for you. Several hotels for your accommodation are located near the beach. Paphos is known to be the birthplace of the beautiful goddess Aphrodite. The Tombs of the Kings is certainly magnificent. Buckingham Palace, Big Ben, Houses of Parliament, Westminster Abbey, the Tower of London, the British Museum, and the London Eye are among the many marvellous sites your eyes can enjoy feasting upon in London. Love watching a play? The National Theatre is highly recommended. Want to experience a boat trip? Try it on the River Thames. Looking for a new outfit? Shop at Regent or Oxford Street. London is without doubt a perfect place for a vacation. A serene heavenly place, the Cotswolds in the UK is a relatively unknown to many travel junkies. There aren’t a lot of information about it today, but you will be truly amazed with the otherworldly beauty of this destination. After all, the place is famous for its wonderful landscapes and incredible historic house villages. For those who are travelling with children, the Cotswold Farm Park and the Broadway Playground allows you to get in touch with nature and animals. Here, you can plan a picnic in the garden or go biking in the playground. Blenheim Palace is another terrific place to swing by in Cotswold. Upon arriving, you will be assigned to a tour guide, who will show you every beautiful feature of the palace. It has a pretty huge garden space that is perfectly designed for guests to enjoy. 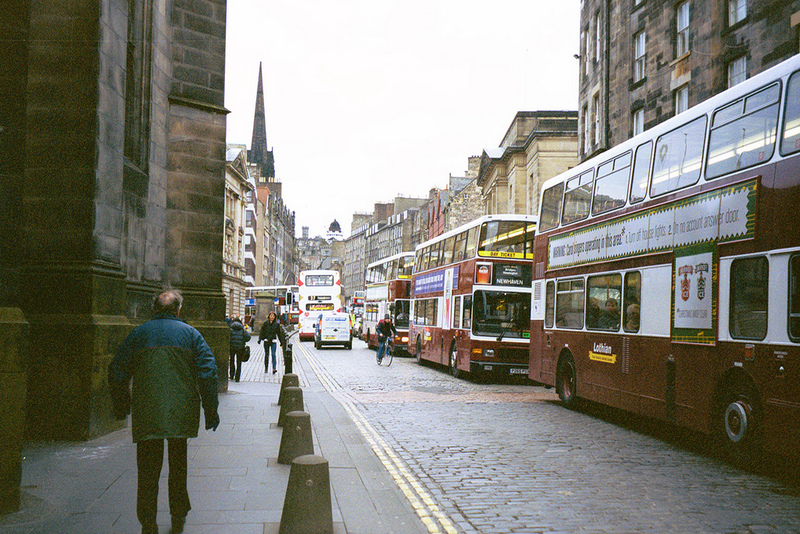 Scotland’s capital, Edinburgh, is a host to the colourful Edinburgh Fringe festival. Celebrated from July to September, people from all over the world come to Edinburgh to witness the spectacles and experience the convivial feel of this festival. The festival, by the way, features arts, blues, jazz, television, music, drama, and theatre. Hogmanay (New Year celebration) is often considered the best among all street parties in the city. The classical Scottish Parliament arranges bookings for tours inside for a closer look at its history, literature, and architecture. Overall, the top locations for a relaxing holiday are truly brilliant. Plan your vacation ahead by preparing an itinerary to have an organized vacation. Trust me, this lessens stress as well as helps create a systematized holiday. Also, never miss the top tourist attractions in every city you visit. Take photos to keep memories, and do not let anything ruin your day. More importantly, relax and enjoy your whole vacation. Cheers! In the near future, you’ll be heading off on a long-awaited holiday to Spain, and as an avid hobby photographer, you are beyond thrilled. With numerous peaks, scenic coastlines that are easy on the eyes, and a variety of Moorish architecture that is measurably different from the building styles in the rest of Europe. As an avid culture hunter though, you have decided to spend a healthy chunk of your trip in Madrid, Spain’s capital. This city has an abundance of museums, plazas, and other outstanding public spaces, making it an urbanist’s dream. Once you learn how to get how to get cheap internet in Madrid, the sky is the limit for getting all kinds of killer snaps around one of the most culturally significant cities in Spain, as you’ll be able to upload them to the cloud and your other devices seamlessly as you go. Since you aren’t a local though, knowing exactly where to get the best pictures in the Spanish capital is likely a mystery to you. If you aren’t in the know about the best places in Madrid for taking pictures, these five vantage points will have your friends, family and co-workers dumbfounded over how you got so many mind-blowing shots on your holiday in Spain. 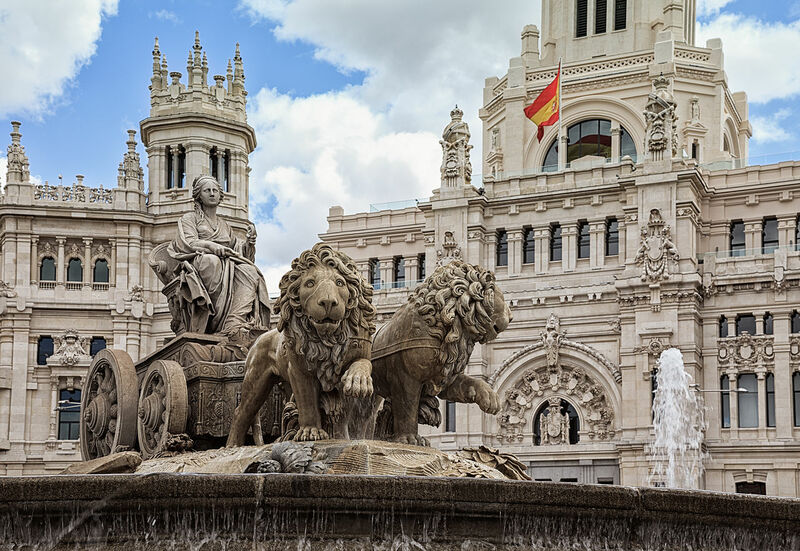 While Plaza Mayor and Puerta del Sol are very popular squares within Madrid and boast many photographic opportunities, they are all surpassed by Plaza de Cibeles in terms of sheer opulent beauty. Punctuated by a white marble fountain depicting a Roman fertility goddess riding a chariot pulled by lions, this square lays before one of the world’s most ornate city hall, giving you a million possibilities for the perfect photo, especially at night. Next up on your journey should be the Palacio Real, or Royal Palace. While photography is not allowed inside, the power of the exterior alone makes it worth the trip, as its sheer scale will make your head spin with the level of wealth to which royals are accustomed. Fancy yourself a fan of food pics? If you love to snap photos of food as much as you love to nosh on it, then you love a stroll through Mercado de San Miguel. Inside, the kaleidoscope of colors from the array of fruits and vegetables, and the alluring smell of baked goods and cured ham will make it hard to focus on the task at hand – getting professional grade photographs of some of the most amazing food you’ve seen in the world. Get yourself a wedge of that finely aged cheese when you’re done – perfect reward! Those into urban photography will want to head to Gran Vía, a street that combines that busyness of modern Madrid with the buildings of its past. Fabulously dressed people mill from one luxury shop to the next while traffic buzzes along at the bottom on a canyon topped by buildings that are hundreds of years old. At night, the excitement of the theater district makes it a particularly interesting place to take pictures of interesting people! One of the artistic traditions that Spain is famous for is Flamenco Dancing, and to capture it in motion is on the list of most photogs visiting this city. Corral de la Moreria is a famous place to capture this art in action, which comes with the bonus of a delicious Spanish dinner coming along with this performance.